Bio Notes: John McLean Crawford, who signed his name thus but was generally referred to by others as John Maclean Crawford, was born in 1854 in Parliamentary Road, Glasgow, the son of John Crawford, sculptor (who died aged 30 on 11 February 1861). Educated at Hamilton Academy, he was apprenticed in 1872 to John Burnet senior who had commissioned his father to do the figures of Hope on the Seaman's Chapel and figures on the Bank of Scotland at Carlton Place and Bridge Street (he also did the sculpture on McIntyre's corner at The Cross). Thereafter the younger Crawford spent some time in London with Sir George Gilbert Scott, Sir Arthur Blomfield and William Flockhart followed by a period in the office of Charles Lynam in Stoke-on-Trent. He returned to Scotland c.1885 to work briefly in the office of John Burnet & Son under John James Burnet, before commencing practice on his own account in 1886 in Dumbarton. A second office was opened in Glasgow in 1896. The practice specialised in the design of first-class passenger steamer interiors - of which Crawford had designed over thirty by 1906, at least some of these being for the prominent Dumbarton shipbuilding firm of William Denny & Bros - in addition to the usual repertoire of church, school, commercial and domestic buildings. 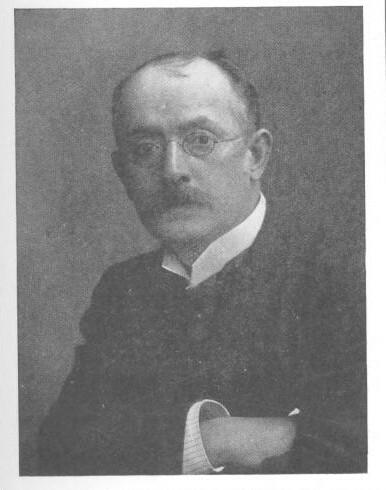 Crawford took his former apprentice Alexander Cochran Denny into partnership in the Dumbarton office in June 1900. Denny, presumably a member of the shipbuilding family, had spent brief periods working for Peter Macgregor Chalmers and Hippolyte Jean Blanc since leaving Crawford's office in March 1899. The partnership was dissolved in June 1903 when Crawford gave up the Dumbarton branch office, working thereafter in Glasgow whilst Denny continued the Dumbarton practice independently. After 1896 Dunstane House Dumbarton Dunbartonshire Scotland Remodelling?